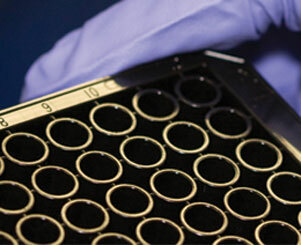 Enfer Scientific has a long history of diagnostic kit development and manufacture for a worldwide customer base. Enfer manufactures its diagnostic kits in a state of the art production facility operating under strictly controlled quality and environmental conditions. All kit components are traceable and produced and dispatched internationally within the regulated shipping conditions. Enfer prides itself in providing a world class product, a superior service and technical support. At the heart of this support is a dedicated Enfer Technical Team. This group of scientists and engineers are highly skilled in all aspects of the Enfer assays and the primary equipment used to carry out the tests. Technical team members visit customer laboratories to ensure all aspects of the Enfer assays are performing optimally. They also provide on-site equipment set-up, training and demonstrations to new and potential customers.